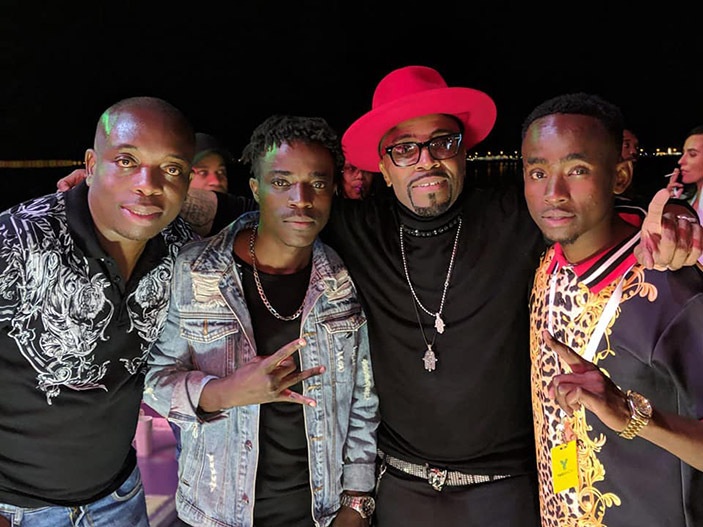 Dancehall star Nutty O shared the stage with legendary Teddy Riley on Friday at the Bob Marley birthday celebrations in Abu Dhabi. The dancehall chanter is indeed a torch bearer for Zimbabwe as he continues to shine outside the country borders. “There is now a high possibility of a collaboration between the two artistes. “There is also a possibility of a collaboration with Romain Virgo as he waited to see me perform and afterwards we sat down and had a word artiste to artiste. Also, Nutty O said this was the best thing to happen to his career after the Etana Grammy nomination news. “I will forever be grateful to Jezz De Don Dada who made all this possible and I would like to thank my manager Byron Kabaiwa, Diana Elisha Nheera andall those who have contributed to my career. Nutty O promises fireworks this year and is really grateful to his fans for their undying support. On stage Nutty O also performed a tribute to the late icon Dr Oliver Mtukudzi as he sang Neria. ROCKIN with the legendary Wailers Celebrating the King Bob Marley’s annual birthday festival!!! It was such an honor to be here in Dubai sharing the stage with Nutty O Zim, and the incredible Romain Virgo!!! Much respect & love to you all!! !